The Cleveland Clinic icon can be applied in a diagonal pattern as either a primary or secondary design element. As with our logo, the 2-color variation is preferred. 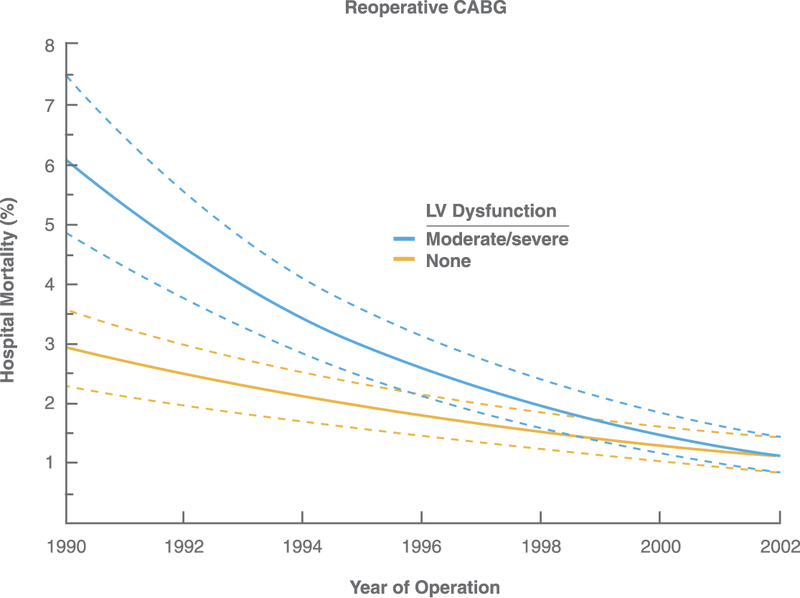 The 2-color pattern can appear only in Cleveland Clinic Blue and Green. However, 1-color, 1-color tint and black variations also are available to accommodate various design needs and printing limitations. 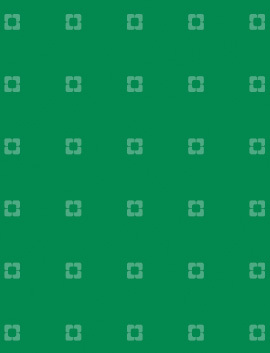 The 1-color pattern can appear only in Cleveland Clinic Blue, Green or Black. The 1-color tint pattern should be a 10 to 20% tint of Cleveland Clinic Blue, Green or Black. 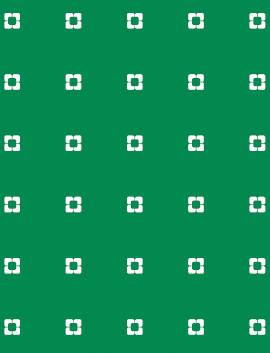 When applying the diagonal icon pattern over Cleveland Clinic Blue or Green color fields, reverse the pattern to white. 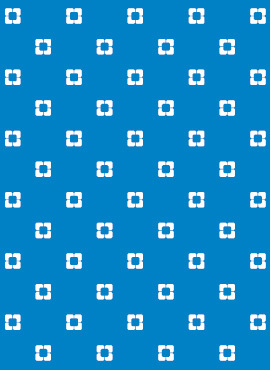 The diagonal reverse pattern can be used as either a primary or secondary design element. 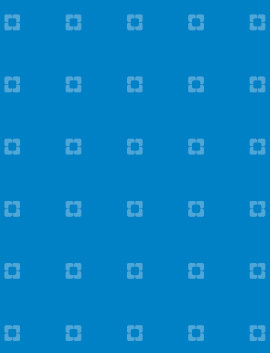 For some specialized applications, the pattern may be reproduced in a 70 to 80% tint of the background color. 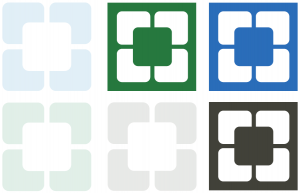 The Cleveland Clinic icon can be applied in an aligned pattern as either a primary or secondary design element. 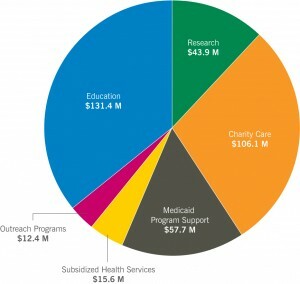 As with the logo, the 2-color variation is preferred. 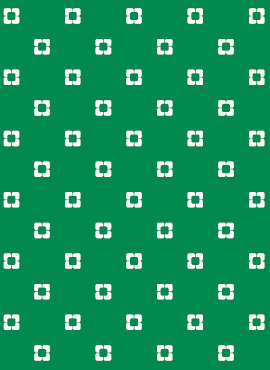 The 2-color pattern can appear only in Cleveland Clinic Blue and Green. 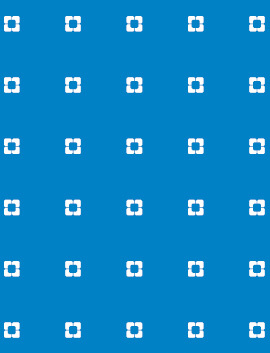 When applying the aligned icon pattern over Cleveland Clinic Blue or Green color fields, reverse the pattern to white. 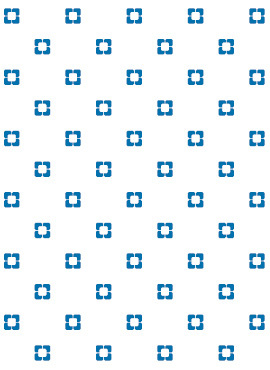 The reverse pattern can be used as either a primary or secondary design element. 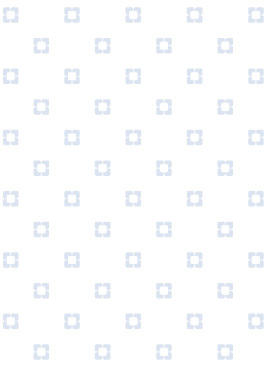 For some special applications, the pattern may be reproduced in a 70 to 80% tint of the background color. 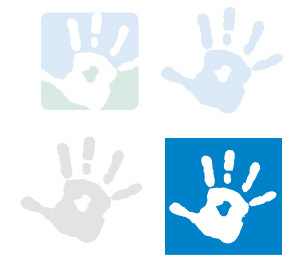 The hand icon in the Cleveland Clinic Children’s logo can be used as a supergraphic or in a pattern as displayed on the following pages. Never alter, add to or re-create the hand artwork. 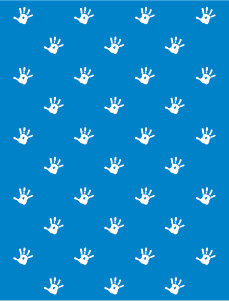 The Cleveland Clinic Children’s hand can be applied in a diagonal pattern as either a primary or secondary design element. The preferred color of the hand pattern is Cleveland Clinic Blue. However, 1-color with 10 to 20% tint, reverse, and reverse with 50 to 80% tint variations also are available to accommodate various design needs and printing limitations. 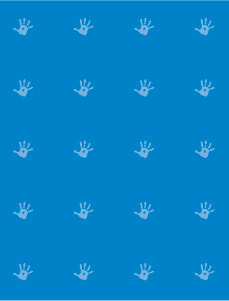 The hand pattern cannot appear as a tint of any color except Cleveland Clinic Blue. 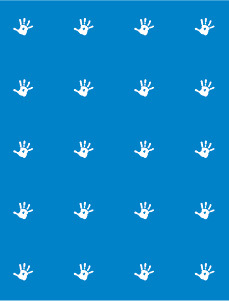 The Cleveland Clinic Children’s hand can be applied in an aligned pattern as either a primary or secondary design element. 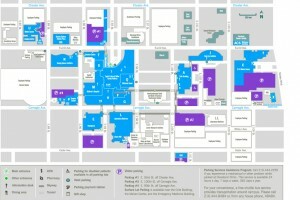 The Cleveland Clinic icon can be enlarged and used as a supergraphic. 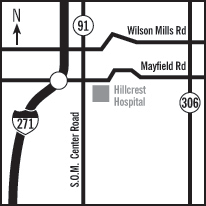 The supergraphic can appear only in a 10% tint of Cleveland Clinic Blue, Green or Black. Ensure the supergraphic is never cropped by the edge of a layout or by a design element. 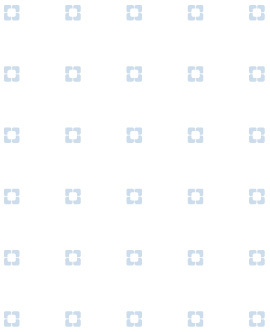 The supergraphic can appear in its entirety or can be dynamically cropped so that it bleeds off the page. 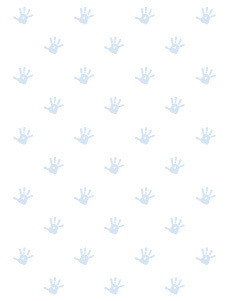 The Cleveland Clinic Children’s hand can be enlarged and used as a supergraphic. The supergraphic hand can appear only in a 10% tint of Cleveland Clinic Blue and Green, Blue or Black (Black and White jobs only) or reversed out of Cleveland Clinic Blue. Ensure the supergraphic is never cropped by the edge of a layout or by a design element. 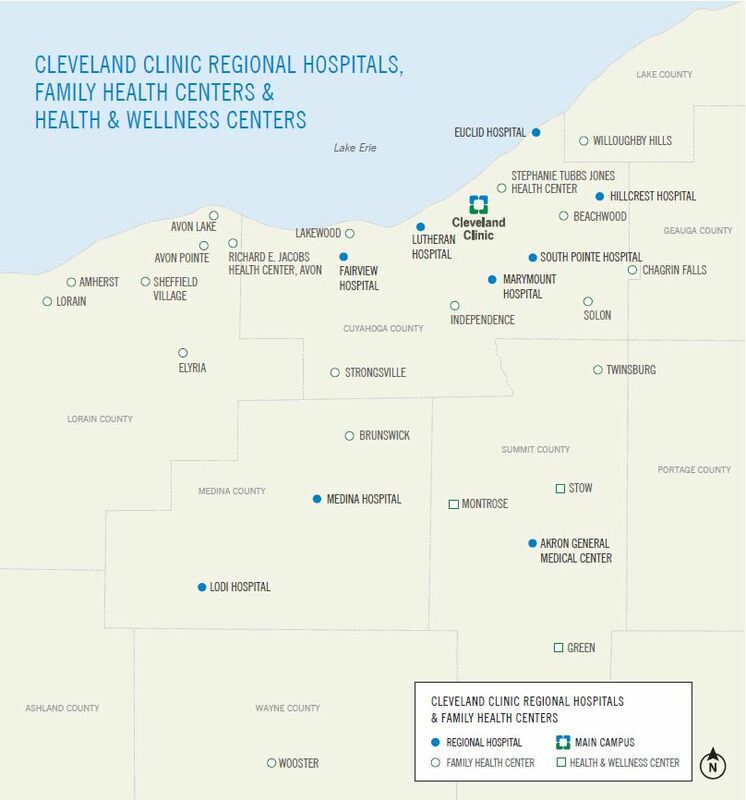 Inspired by the Cleveland Clinic logo, the graphic illustrations shown below were developed for additional design interest and flexibility. They symbolize concepts such as natural structure and active reasoning. 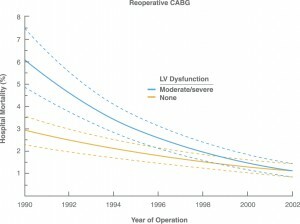 They may be reproduced only in reverse or in tints of Cleveland Clinic Blue, Green and Black. Do not recreate or alter these illustrations in any way. 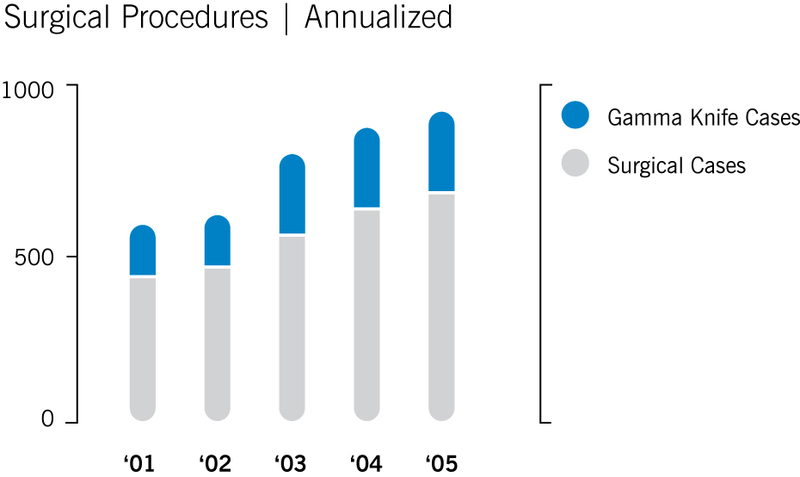 Note: Clip art and illustrations, other than professional medical illustrations, are not to be used. Contact Cleveland Clinic Medical illustration for medical illustration needs. 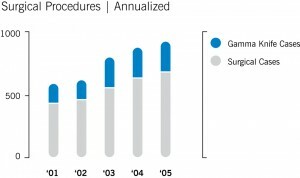 Only professional medical illustrations such as those below, are representative of the brand. 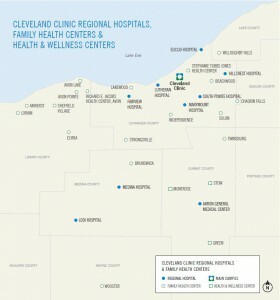 Maps, if not supplied, should be constructed using News Gothic, Cleveland Clinic’s primary typeface. They should be kept clear and simple, and be clearly labeled, reflecting the brand personality.